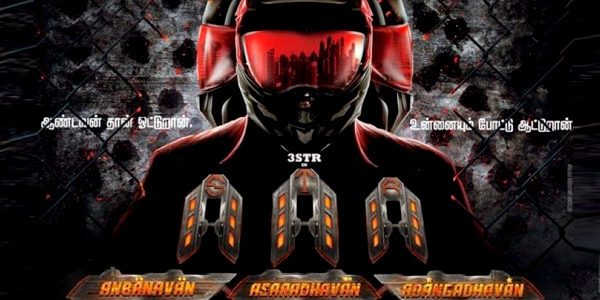 Anbanavan Asaradhavan Adangadhavan (AAA) is a Tamil movie starring Silambarasan, Shriya Saran and Tamannaah Bhatia in prominent roles. It is an action romantic comedy written and directed by Adhik Ravichandran. Anbanavan Asaradhavan Adangadhavan (English: Affectionate Man, Uninfluenced Man, Uncontrollable Man) also known as AAA, is an upcoming Indian two-part Tamil-language action comedy film written and directed by Adhik Ravichandran and produced by S. Michael Rayappan under banner of Global Infotainment. The film features Silambarasan, Shriya Saran, Tamannaah Bhatia in the lead roles, while Simbu plays his first triple role. The film has music composed by Yuvan Shankar Raja, cinematography handled by Krishnan Vasant and editing done by Ruben.